As the Internet of Things makes strides across the globe, Southeast Asia is picking up the pace with countries like Singapore, Indonesia and Malaysia boosting IoT startups. Meanwhile, reports suggest IoT spending has gone up to US$7.53 billion in 2020. Singapore particularly is at the forefront of IoT implementation as it is witnessing IoT startups in areas such as smart home solutions, smart building, IoT devices, industrial IoT, smart factory and more. The efforts are directed towards enabling a national ecosystem to boost industrialisation and economic growth. There are many investors and incubators that are taking a special interest in driving growth of these startups. In this article, we list 10 such high-growth IoT startups in Singapore that are making a wave not just in Singapore but across the globe. Founded by like-minded industry professionals with years of experience in mechatronics and 3D visualisation, this startup aims at providing value-based solutions using IoT and Immersive Reality implementation. The startup creates end-to-end IoT and AR, VR solutions while deploying on-premise and Cloud solutions for IoT/IIoT, automate workflows and use Scientific analysis, to generate real-time dashboards. Based out of Singapore, India and Canada, the startup team comprises of domain experts such as developers, Solution Architects, Sensor/Control Systems Engineers etc. IoT Chain (ITC) is developed as a lite operating system that uses blockchain concepts while implementing VRF+BFT, DAG and SPV technology, allowing data to be layered and stored in a decentralised manner and providing protection with the combined strength of the millions of IoT nodes within the network. With this, the company aims to create an economy of sharing for the Internet of Things (IoT) devices in a decentralised and energy efficient environment while producing a wealth of valuable user data. Based in Singapore, it works on providing a secure, lite OS for the Internet of Things. IoT Chain is working on solving current IoT security and safety issues using distributed ledger technology. Branded under the names COVE and COVENET, KaHa provides SMART IoT Wearable platforms that enable consumer brands to launch a range of smart products. They aim to bring wearable technology in everyday life to make it more enriching, safe & fun. Using IoT, they aim to achieve efficient time to market, unique value proposition to end consumers and in-house capability from design concepts to final products. All their products and research involving end users extensively rely on the IoT. 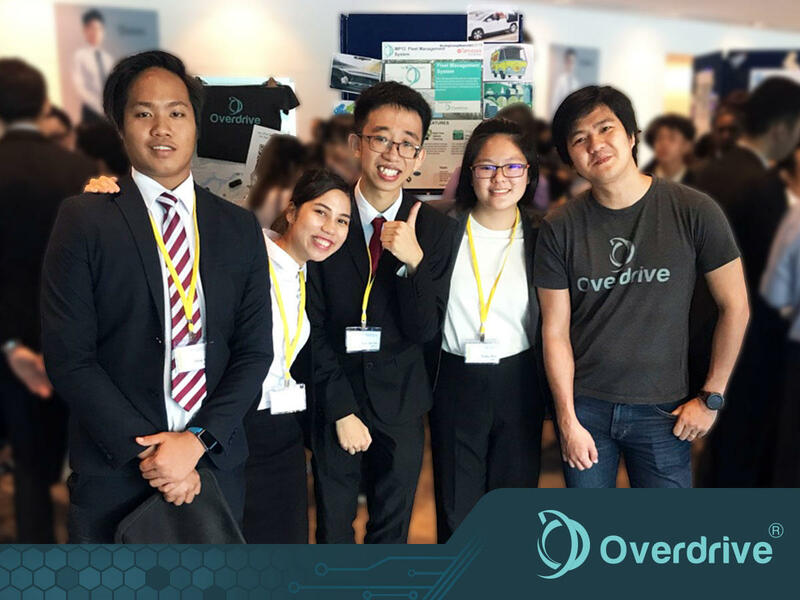 Founded in 2015, Singapore-based IoT startup Overdrive recently raised US$2.9 million Series A round from VC Tin Men Capital. The founders have developed an IoT platform that enables businesses to build an interconnected data sensing environment, extracting data from different sources such as goods or vehicles and machinery. The platform is then configured to optimally deliver business objectives such as real-time tracking and monitoring, exception alerting and command centre visualisation. Their platform has been implemented in companies and institutions such as Nanyang Technological University, FedEx, Ascendas and more. Headquartered in Singapore with service delivery centre in London, UK and San Francisco Bay Area, California, USA, the company has three development centres across the globe. The company is developing IoT apps that help clients interact with the customers more effectively and create opportunities for new sources of revenue. It is also helping organisations leverage the power of connected enterprise products and solutions offering next-gen IoT services to unleash the power of the connected ecosystem and provide outsourcing and consulting in the IoT domain. This startup helps in reducing waste by improving energy efficiency and waste management using technologies such as IoT and AI. The portmanteau of the Swedish word “Ren” meaning pure and the globe, the startup is clear about its mission. It connects and manages systems via the internet allowing to optimise devices to the next level while making it easier for customers to manage multiple devices the same time under one dashboard. With its IoT solutions, it is aiming to save energy and money to make it a better environment. This Singapore-based aquatech startup, Umitron uses the Internet of Things technology and satellite remote sensing to evaluate and mitigate risks associated with ocean environment and farm operations. Having recently raised funding of S$3.7 million from Mirai Creation Fund, the startup is aiming to expand its business to other markets through partnerships with enterprise aquafarms and insurance providers for sustainable aquaculture. Founded in 2010, UIB is a global cloud computing company that provides technologies in the smart home, connected appliance manufacturers, real estate, hospitality and more. The IoT based solutions by the company help in tasks such as increasing revenues, decreasing costs, and delighting users. Some of its patented products are UnificationEngine®, Unified AI®, and SmartContact® technologies. One of the leading providers of Converged Application Ecosystem Platform for Smart and Connected IoT, the company leverages AI to provide applications that simplify connectivity and improve operational efficiency for both organisations and consumers. It focuses on helping business by realising the actionable value of smart connectedness from unifying data insights. Variantz application platform seamlessly Connect-Engage-Collaborate across various smart devices and applications. They have products such as smart hub speaker, smart solutions in safety & security, lighting and more. This IoT startup has developed many revolutionary and patent-protected technologies that allow any consumer, regardless of their technical capability, to connect, monitor and control devices and appliances found in our everyday environment. It provides IoT solution for industries such as manufacturers, retailers, data centres, health and more.